Today we proudly present the release of the GT3 Power Pack, featuring five iconic GT3 class cars. 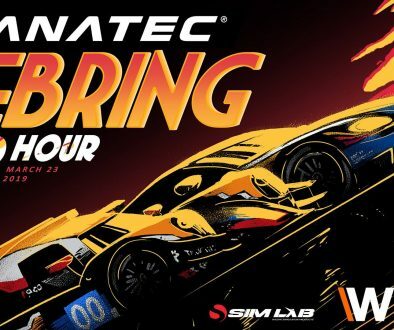 You already knew about the McLaren 650S GT3, and at the SimExpo we revealed the second car–the Bentley Continental GT3. Recently, we shared some teaser shots of the third car. As some of you already guessed, that was the Callaway Corvette C7 GT3-R. 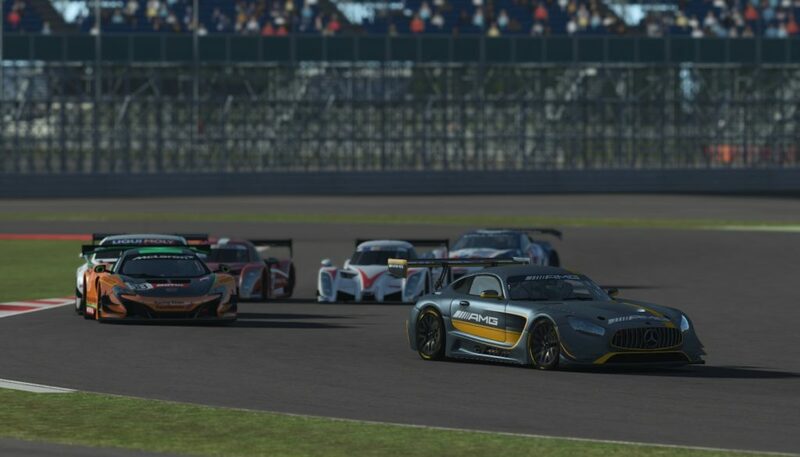 The last two are the Radical RXC Turbo GT3 and the Mercedes AMG GT3. We’ve worked closely with the manufacturers to create the most accurate model, physics and sound we could; and we’ve listened to the community asking us to come up with a more consistent series of cars to race with. We certainly hope you’ll enjoy them as much as we do. Let’s go over them one by one. The Bentley Continental GT3 was first unveiled at the Goodwood Festival Of Speed in 2013; and since has been competing in many different GT3 championships across the globe. Even though the car looks big, it is actually very light; and its 600 horsepower 4.0 liter twin turbo engine makes it a force to be reckoned with. The Radical RXC Turbo GT3 is a bit of a rare appearance in the GT3 field, but it certainly is a very strong contender. Its light and stiff body holds a 3.5 liter Ford Ecoboost V6 engine with twin turbos and intercoolers, delivering over 500 horsepower. This car competes in the GT Open and debuted in 2016 at the season opener at Estoril. Of all the cars in the pack, this one probably feels the most like an open wheeler. The Callaway Corvette C7 GT3-R, designed and built by Callaway Competition in Leingarten, Germany, started life on the drawing boards in 2014 and hit the tracks in 2016 when it started competing in the ADAC GT Masters. That campaign proved to be very successful; and recently it was announced that this car is now also ready to debut in the US, with GM giving permission to run in its home country. This 600 horsepower, 6.2 liter V8 packs a serious punch and sounds great. Nick-named “Darth Vader”, as it was first shown with an all-black carbon fiber body, this car will definitely remind you to hit your braking points and apexes if it shows up in your rear mirror! 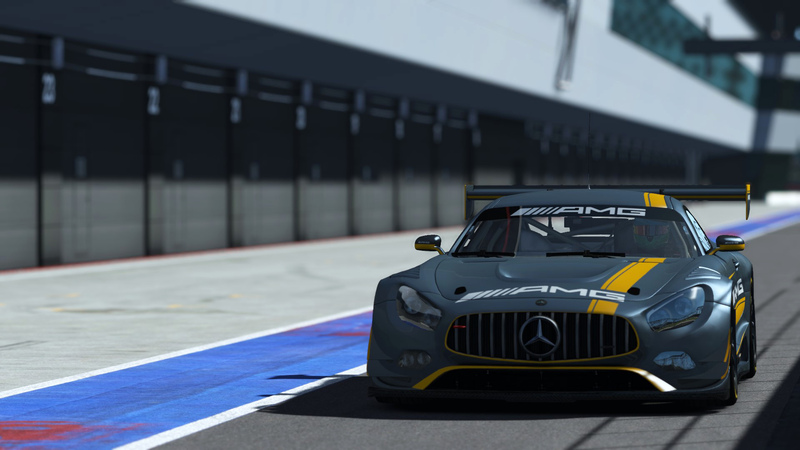 The Mercedes AMG GT3 was presented to the world in March of 2015 at the Geneva Motor Show. The 6.2 liter naturally aspirated V8 engine and carbon-fiber body ensure this car can always be found at the front of the pack. Apart from racing in GT3, this car has also been entered in both the Super GT GT300 and IMSA GTD classes. 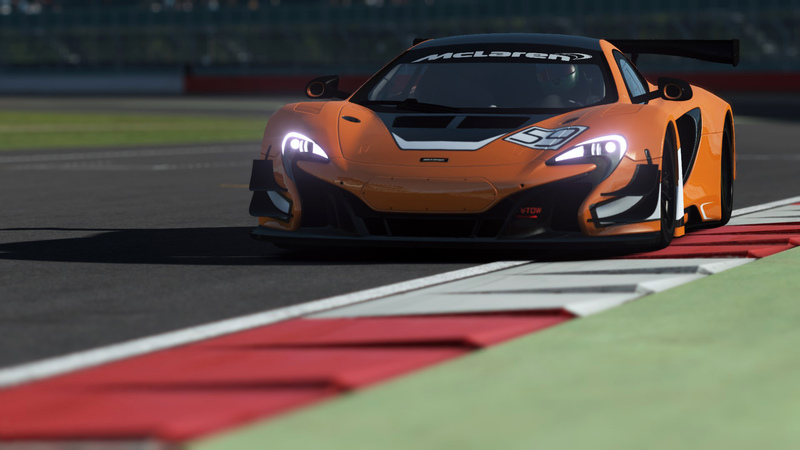 The McLaren 650S GT3 is a car we already released earlier this year for the World’s Fastest Gamer competition. 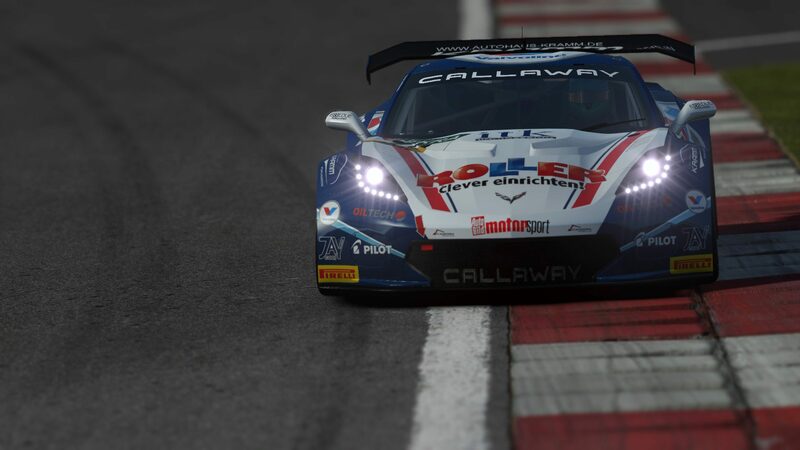 The car made its debut in 2015 and was designed and optimised to contest GT3 championships. Building on the MP4-12C GT3, it offered optimisations in many areas, including aerodynamics. Powered by a 3.8 liter twin turbo V8 engine that is known to spit fire like there’s no tomorrow, this car is definitely an awesome appearance on any track. We have updated this car based on community feedback and additional data we received. All cars come with the setup options as found on the real cars and three dry weather compounds ranging from the soft “S7” to the hard “S9” and a wet weather compound. One of these details in the setup options is the fact that both the Bentley and the McLaren use Ohlins dampers for which 0 is the stiffest setting and higher values mean the dampers get softer. Another example is the exact position and size of the anti-roll bar on the McLaren, whose setup options we’ve named accordingly, like “P3 25x2mm”, where for other cars we use the more familiar “clicks”. Worth mentioning is the steering lock on the Mercedes–quite limited compared to the other cars (about 400 degrees). It should be just enough to negotiate very tight turns on some tracks, but still doable! 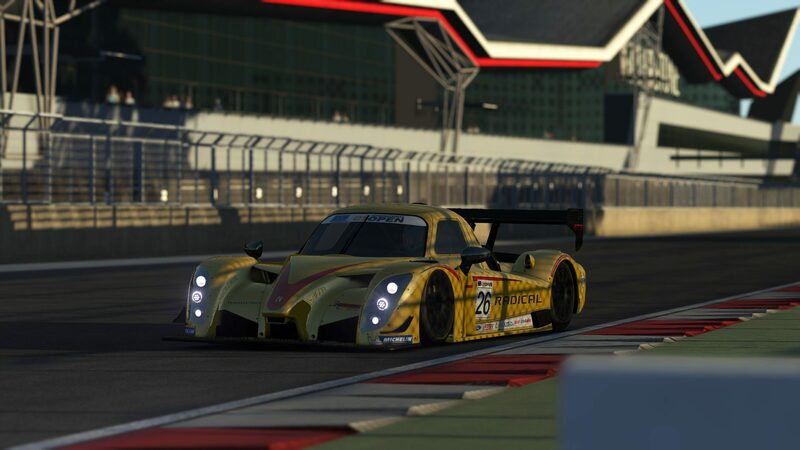 Finally, the Radical has only four wing positions; however, they are quite widely spaced compared to the other cars, giving you the option to create both high and low downforce setups. As per regulations, all of these cars are allowed to run with anti-lock brake systems (ABS) and traction control (TC). We did several “Balance of Performance” sessions with all five cars, taking them to a few different tracks and comparing lap times. Since these cars are quite new, we think it is safe to say that we have not found the absolute limit of their setups yet. 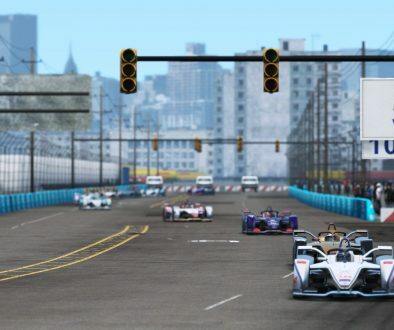 Leagues running with these cars are encouraged to do additional tests and use weight penalties to further balance the cars. We will aim to do BoP updates as we learn more about these cars. 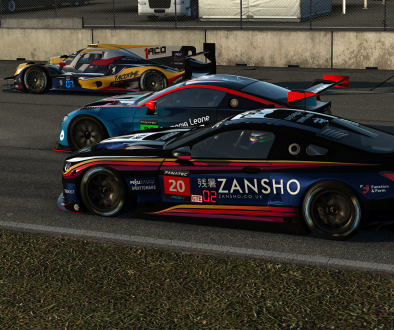 All cars come with a template to create your own liveries, which gets installed automatically to the “Templates” folder in your rFactor 2 install. 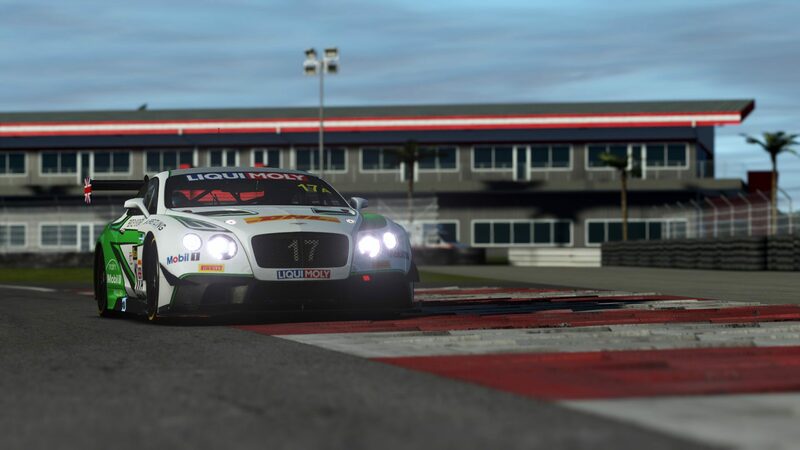 You can buy the GT3 Pack in the Steam Store, which gives you a nice discount over the individual cars, which can also be found there.